The 2010 edition could be called “Vino & Vignette & Motori” (Wine and Comic Strips and Rides), since the city of Bordighera will also host the most prestigious Italian cars. Three important days of events and wine sampling along the City of Palm Trees. It will all begin on Friday, April 30th to end on Sunday, May 2nd. 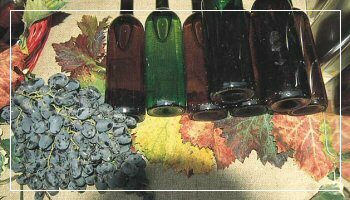 An itinerary that will bring the visitor to discover the historical and artistic beauties of Bordighera, sampling the excellent wines of Western Liguria with D.O.C. Certification and of course laugh with the nice comic strips purposely created for the event and shown at the Palazzo del Parco. The 2010 edition will see the sister citizenship with the French town of Angoulème, famous in Europe for hosting a famous drawing school that provides an education for the best French comic artists. Among the side events we are reporting an exhibit with creations from the past editions of “Wine & Comic Strips” that will take place during the same days at Villa Grock in Imperia.